Members of the Pennsylvania House of Representatives took the oath of office and were sworn in on Tuesday, Jan. 3, during a ceremony in the chamber of the House. 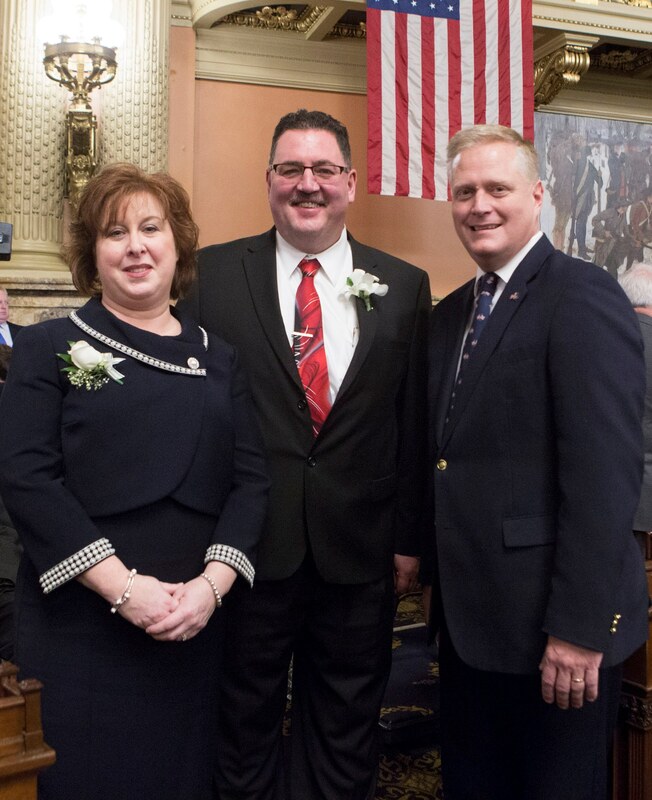 Pictured (from left) are area lawmakers, Rep. Lynda Schlegel Culver (R-Northumberland/Snyder), Rep. Kurt A. Masser (R-Columbia/Montour/Northumberland) and Rep. Fred Keller (R-Union/Snyder). The three representatives were each sworn in for their fourth terms serving the people of their districts.